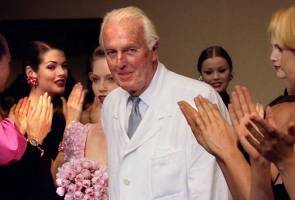 PARIS: French haute couture fashion designer, Hubert de Givenchy has died, confirmed Givenchy brand. His friend, the former haute couture designer Philippe Venet, announced his death through the Givenchy fashion house, saying he had died in his sleep on Saturday. Givenchy lived in a Renaissance chateau near Paris. Givenchy opened his own design house in Paris in 1952. The company was acquired by luxury retail giant LVMH in 1989 but Givenchy designed for the brand until his retirement in 1995. Since 2005 the brand has been under the direction of Riccardo Tisci, who counts the Kardashians among his biggest fans. Tisci recently left the company to replace Christopher Bailey as Creative Director of Burberry.